Love running, but have a busy life? 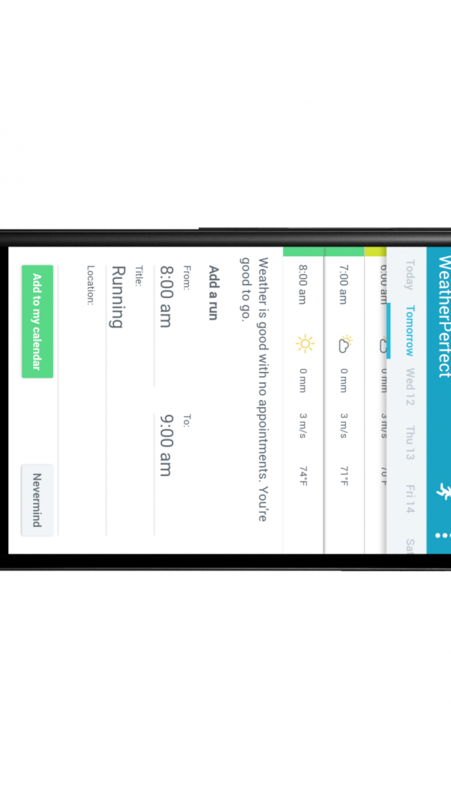 WeatherPerfect is an Android app that combines the weather forecast with your calendar to help you find the perfect time to run. 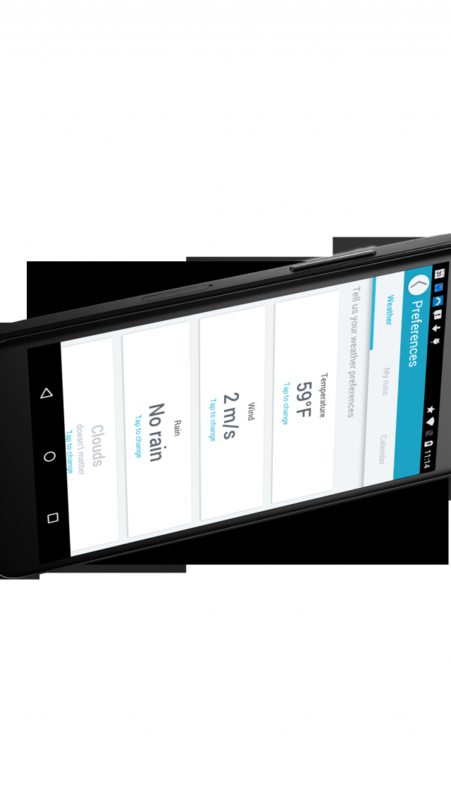 You can configure the app to suit your running-preferences, like the temperature, wind and rain, and when you like to run. Once you have found the ideal time to run, you can add it to your calendar. It will show up in your other calendar apps, as well as in WeatherPerfect. I am a full time software architect and developer, and hobbyist runner.